50 Best Albums Of 2015: The Final Reckoning! Get the new issue of MOJO, on sale in the UK now, for the full reasoning, interviews and a free CD featuring tracks from our favourite records of the year. But for now, enjoy the countdown. IT’S THAT time of the year when MOJO's experts gather for a musical conclave and are not allowed to emerge until they’ve settled on the 50 Best Albums Of The Year. Well, that process is over for another 12 months, and following vigorous head-scratching, hot debate and much umming and ahhing, the results are in. Returning heroes, brand new discoveries and instant classics mix in a melange of magical music. 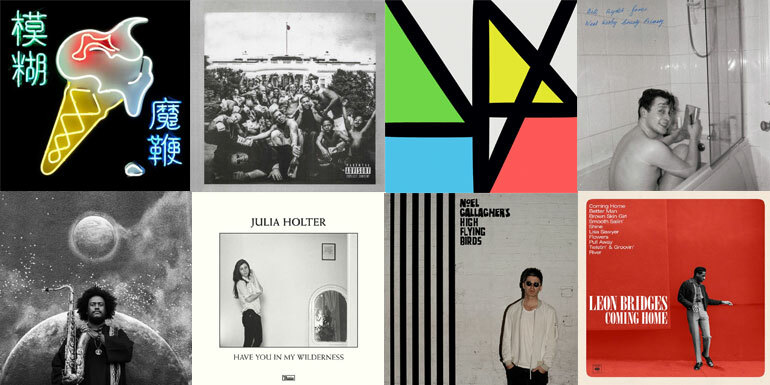 You can take a quick sprint through our choices below, or get the new issue of MOJO magazine (January 2016 / #266) for an in-depth take, including interviews with some of the year’s iconic figures plus a free Best Of 2015 CD that features tracks from the albums in question, featuring New Order, Julia Holter, Sufjan Stevens, Father John Misty, Matthew E White and more. And if you can’t spot your favourite among the list, then by all means berate the hell out of us via our Twitter or Facebook.